As 2018 is drawing to its end, so are this year’s European Poker Tour (EPT) series. 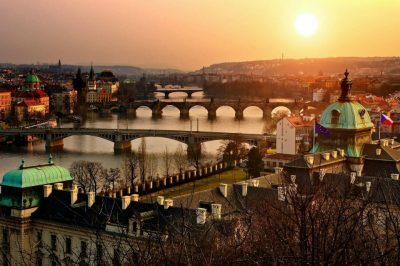 In line with the tradition, the series’ conclusion will once again take place in Prague, the capital of the Czech Republic. The last EPT festival for 2018 kicks off today at the Casino Atrium in Prague’s Hilton Hotel. The festival is to run until December 18th in parallel with the EPT National and will feature a number of exciting tourneys and cash games. In fact, the EPT National is listed among the key events and is to take place between December 8th and December 12th, 2018, with players being able to join with a buy-in of €1,100. Another tourney everyone is excited about is the EPT €50,000 Super High Roller where participants will be allowed unlimited re-entries. It runs December 10th through December 12th. The EPT Main Event kicks off immediately after the Super High Roller and continues right until December 18th. Those interested can secure their entries with a €5,300 buy-in. It will feature two opening flights that will take place at 12:00 pm on December 12th and December 13th. This year’s EPT series will end with the EPT €10,300 High Roller that starts December 16th, also with one re-entry allowed for those who lose their entire stacks. The event will have its champion crowned on December 18th to mark the official end of the 2018 EPT tournament series. Most of the key events will use the popular No-Limit Hold’em format but players will also have the opportunity to take part in various Pot Limit Omaha tourneys and a H.O.R.S.E. game which is a combination between five different poker games. Early arrivals can warm up by joining one of the cash games that will run from 2:00 pm to 6:00 am today in the Grand Ball Room, with buy-ins ranging between CZK 3,000 and CZK 100,000 to suit all players. According to the official schedule of the championship, the cash games will be played in the local currency, the Czech Koruna, but players will have the option to convert their money at Casino Atrium’s currency exchange. Other formats like Stud and Hi-Lo will be available upon request. Attendees can also benefit from various non-tournament related activities, including a meet-and-greet with notable pros from Team PokerStars. Now the only thing left for us to do is wait and see who will repeat the success of last year’s EPT Main Event champion, Kalidou Sow. 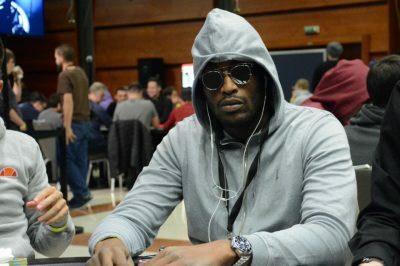 Sow, who hails from France, managed to prevail over a fierce field that spanned as many as 855 entries. The Frenchmen added the hefty prize of €675,000 to his overall live earnings after defeating his opponent Jason Wheeler head-up with pocket tens. This remains Sow’s best live cash to this date.